Guess what, Perth? 2018 is approaching whether you like it or not. 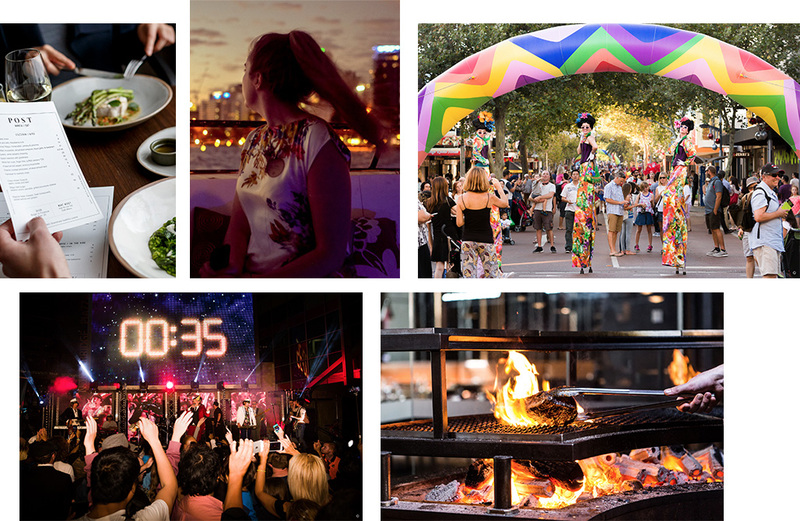 And while that’s a little (or a lot) scary, this year City of Perth is serving up a whole lot of fun things to do to take your mind off things. 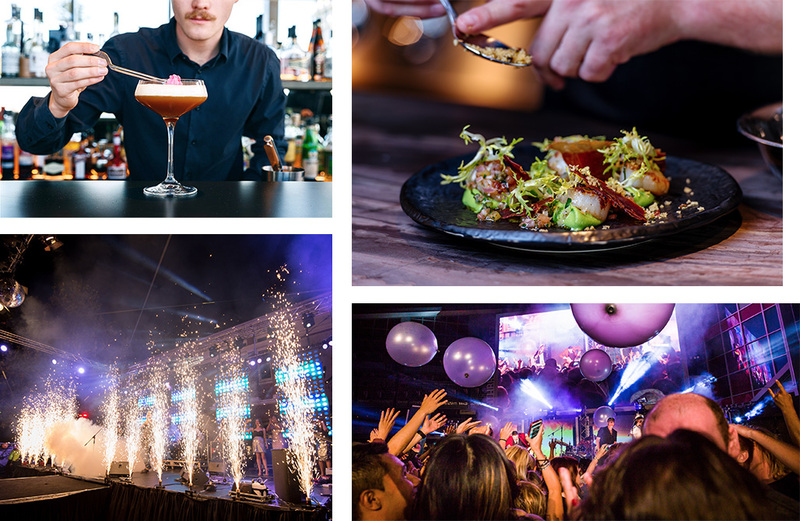 From delicious dinners that will ignite your taste buds and awesome live music for your earholes, to all day breakfast and good times at the tennis, there’s fun to be had for all on New Year’s Eve, New Year’s Day and onwards into the big 2-0-1-8. Here are the best ways to celebrate the new year in the city. Watch Australia beat (we hope) Canada at the Mastercard Hopman Cup before kicking on the next day at one of the many New Year’s Eve parties happening in the city. And if your new year’s resolution is to see some abs then sign yourself up to Federer’s Russia versus Switzerland game on 2 January. For more info, click here. Our new favourite Spanish joint, Ascua, are inviting you to ring in the new year with a mighty fine six-course degustation that will feature meats cooked on their wood fire grill and a pretty dang tasty raspberry and rose popsicle. Get all the details here. New Year’s falls on a Sunday this year, so there’s no excuse to get on the party train early, and the best place to do that is at Lot 20 with mimosas and tasty eats. It’s free entry from 12pm but we recommend you book a table to avoid disappointment. Find out more here. If you care more about food and wine than screaming “happy New Year” at the top of your lungs, this is the event for you. Enjoy canapes and a glass of Native Kir before tucking into a perfectly curated five-course dinner featuring matched wines and top notch service. You could get an Uber home at the end of the night, but the luxurious suites at COMO The Treasury will be looking mighty appealing at the stroke of midnight. To book, click here. For $35 you’ll get to hear the dulcet tones from the award-winning Adam Hall and the Velvet Playboys while checking out The Sewing Room, the city’s newest nightclub and live music venue in Wolf Lane. Get your tickets here. Spend your night singing your best rendition of The Lonely Island’s “I’m On A Boat” on a Swan River cocktail cruise. You’ll enjoy canapes, booze and DJ tunes as you cruise around the river like a boss. Click here for more info. The crew from one of our favourite State Buildings haunts, Post, have enjoyed one too many trips to Italy, it seems, as they’ve now rebranded themselves as an Italian Osteria and we’re 100% fine with that. Check out what it’s all about at their three-course NYE dinner which will feature Shark Bay Crab taglionlini and tiramisu with mocha gelato. Saluti! Get tickets here. If you’re a big kid at heart or perhaps have some little tikes of your own Northbridge Piazza and the Cultural Centre are the places to be this NYE. You can expect kid-friendly movie screenings, loads of entertainment, a family-friendly countdown at 9pm before fireworks at midnight. The best bit? It’s all free! Click here to find out more. The gorgeous and grand Postal Hall at the State Buildings will transform into a pop up wonderland for 2017’s night of nights. There’ll be bars, live music and small bites to enjoy, before what’s promised to be a pretty speccy countdown as the clock ticks closer to midnight. Get your tickets here before they sell out! Not only does Fraser’s boast some of the most incredible views of Perth City, it’ll also be one of the best spots to watch fireworks. Your ticket will also have you enjoying a four-course dinner and entertainment. Tickets are $168 per person, click here to book. If you haven’t been to one of The Aviary’s events, you’d better get to this one because they know how to party right! Their Urban Jungle Party will feature fruity cocktails and urban street eats, DJs, roving entertainment and all of the bevvies you could ever require. We’ll be spending most of the evening at the Pimp Your Own Pimms Bar. PYOP? Yeah, you know me! You’ll find all the details here. Forget all the ways you were wronged by 2017 while singing and dancing with some of WA’s best bands at Badlands’ New Year’s Eve Covfefe party. Tickets are cheap, the beer is even cheaper and there’ll be free popcorn going around all night. Get your tickets here. After all that partying you’ll have probably worked up quite the appetite, so once you’ve slept off all of the Aperol Spritz, head in to Ivy & Jack before 3pm on New Year’s Day for a tasty all day breakfast (and maybe some hair of the dog). Get all of the details here. Editor's note: This article is proudly sponsored by the City of Perth and endorsed by The Urban List. Thank you for supporting the sponsors who make The Urban List possible. Click here for more information on our editorial policy.